This Feb. 28, 1968, file photo shows The Beatles, from left, Paul McCartney, John Lennon, Ringo Starr and George Harrison. Like any good story, the documentary about the making of the Beatles’ latest album — neither of which existed yet — needed a climax. This week filmmaker Peter Jackson announced that he would use 55 hours of previously unreleased footage from “Let It Be” for a new movie, according to Rolling Stone. The band’s rooftop performance didn’t capture much attention at the time. That evening’s BBC News bulletin didn’t mention it, Lewisohn said, and the next day’s newspapers ran stories about it on the inside. People who gathered on the street during the show couldn’t see the band and weren’t even sure it was the Beatles. But to those who watched from atop of the office on Savile Row and from nearby rooftops, the lunchtime performance was a chance to see a band that was just as sharp and strong as ever. The Beatles were candid with the cameras because they knew the film’s editing was within their control, Lewisohn said. The album and documentary project, initially called “Get Back,” was meant to showcase the band’s music without studio artifice. The asylum proved unnecessary. Keyboardist Billy Preston, who performed with the Beatles on the rooftop, said the location was Lennon’s idea. They announced it the night before the performance and worked into the night to prepare. “Everyone” turned out to be about 30 people: Lennon’s wife, Yoko Ono; Ringo Starr’s wife, Maureen Starkey Tigrett; an American executive from Capitol Records; people who worked in the Apple Corps building; people visiting the building; still photographers and the film crew. Lennon and Starr, both 28, wore their wives’ coats during the performance to protect against the cold. George Harrison, 25, donned green trousers. The show’s setup was meant to create the feel of a live performance but the sound quality of a studio recording. Cables running from the roof to the basement studio captured the music, while speakers tilted downward to face pedestrians on the street. The band played “Get Back,” “Don’t Let Me Down,” “I’ve Got A Feeling,” “The One After 909″ and “Dig A Pony” — some multiple times. “Their timing is perfect, and their harmonies are perfect, and the musicianship was perfect, and everything worked,” he said. Behind the scenes, the band’s unity was being held together by a thread. They disagreed about their management. Harrison walked out of a rehearsal, declaring in a temporary moment of anger that he was quitting the band. The members frequently discussed breaking up. After they recorded their album “Abbey Road,” the Beatles went their separate ways in August 1969. 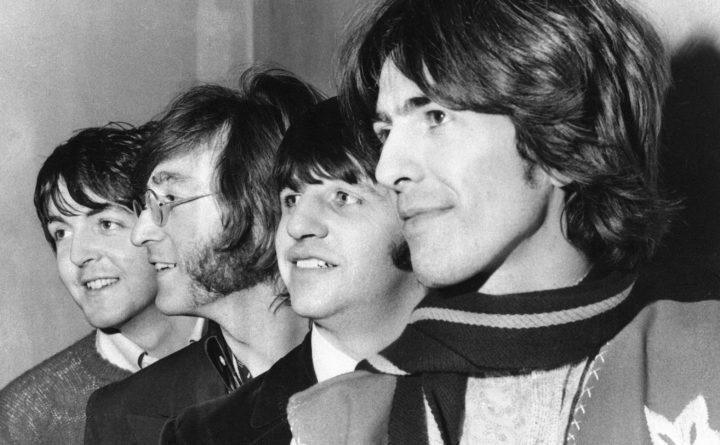 Shortly after they publicized the split the next April, they released another album, “Let It Be,” with songs they had sung on the rooftop and on other days that month. A documentary by the same name featured film from the rooftop concert and chronicled the album’s creation. Both were forever clouded by their releases coinciding with the announcement that the Beatles would not play together again, Lewisohn said. But on the day of the rooftop concert, no one would have been able to tell that the band’s days were numbered. Like many shows before it, Lewisohn said the performance was brilliant.